Claudia Schindler studied Classics (Latin, Greek, Archaeology) at the universities of Münster and Munich. She completed her PhD at Münster in 1998 with a thesis entitled "Untersuchungen zu den Gleichnissen im römischen Lehrgedicht. Lucrez, Vergil, Manilius" (published in 2000). 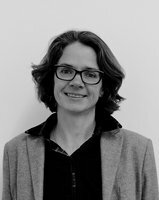 From 1998 to 2005 she held a position as Senior Lecturer at the University of Tübingen where she also submitted her habilitation treatise in 2005 ("Per carmina laudes. Untersuchungen zur spätantiken Verspanegyrik von Claudian bis Coripp", Berlin – New York 2009). From 2003 to 2004 she spent a year at the University of Salzburg on a Lise-Meitner-scholarship awarded by the Austrian Science Fund, Vienna. In 2006/2007 she worked for a research project of the German Research Foundation on humanistic lectures about Cicero’s speeches at the University of Leipzig. Since February 2009 she has been Chair for Latin and Neo-Latin at the University of Hamburg. Her main research interests are Greco-Roman and Neo-Latin didactic poetry, late antique verse panegyric, epic poetry and neo-Latin poetics. In addition, she has published articles on Ovid, on Seneca tragicus, on the history of classical scholarship and on Neo-Latin supplements of classical poetry.